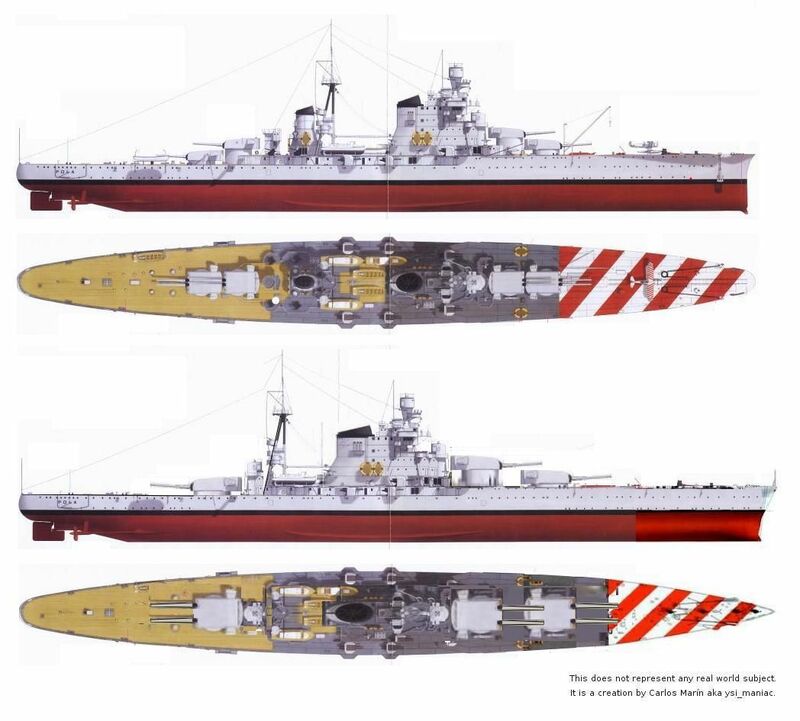 With this drawing I try to figure out how to trasform a Pola class cruiser into a design of an italian compact battleship that appears in page 237 of 'The Complete Encyclopedia of Battleships and Battlecruisers' by Tony Gibbons. single 15 inch mount forward would probably be a bit less strain on the hull. Still a nice concept, and a nice nod to a terrific reference. I've owned Gibbon's 'Battleships...' for decades, and still thumb through it pretty regular.